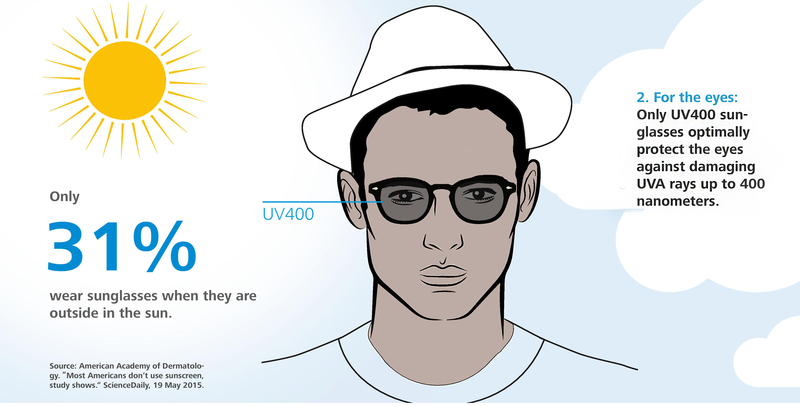 What are the dangers of UV Light and how to protect your eyes against the invisible danger? Have you ever searched for something invisible? No we don’t mean a superhero or a magic cloak. What we are talking about is something like Ultraviolet (UV) light. 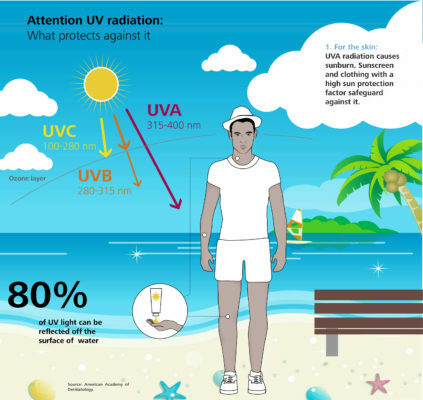 UV radiation is a type of energy produced mainly by the sun and some artificial sources such as tanning lights and beds. Its wavelength ranges from 100 to 400 nanometres (nm) and is classified into 3 categories: UV-A, UV-B and UV-C. UV-C radiation gets trapped in the ozone layer of the atmosphere; 5% of UV-B will make it through the atmosphere but alarmingly up to 95% of UV-A radiation will get to us without any interruptions. That means UV light is always present – be it in summer or winter, or be it in clear or overcast conditions. It is beneficial in that it triggers Vitamin D production but prolonged exposure can pose some serious health risks such as sun allergies, sunburns which can increase the risk of skin cancer and accelerated aging of the skin leading to wrinkles. Most of us know we have to protect our skin whilst we are out, for example at the beach we use sunscreen to achieve that. 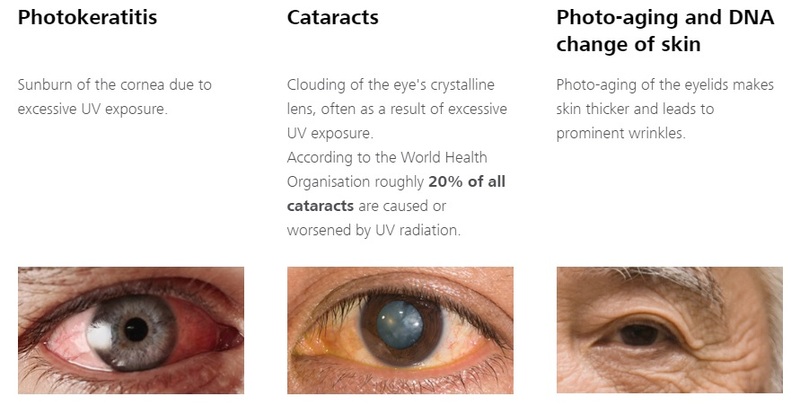 However, did you know that even your eyes are at risk of getting damaged due to UV exposure? Cataracts, macular degeneration, sunburn of the cornea (photokeratitis) and pterygium are just a few eye conditions related to UV radiation. Most of us believe that UV protection for our eyes is only required when out in bright sunlight, so naturally, we end up wearing sunglasses as a preventive measure to protect our vision. The fact that UV radiation is omnipresent means we are not always protected – not even in the shade! So how do we go on protecting our eyes when it’s not feasible to wear sunglasses all the time? UV blocking coatings can be incorporated in clear lenses that are as effective as those found in sunglasses. UV protection coating is not a tint. Rather, it is the result of special filter technologies in the plastic lens material. It is not the intensity of a tint which prevents UV radiation from reaching your eye but the actual UV coating itself. Current industry standards in eyeglass lenses stipulate a wavelength of 380 nanometers as the upper limit for UV protection. However, around 40% of UV radiation in daylight is between 380 and 400 nm. 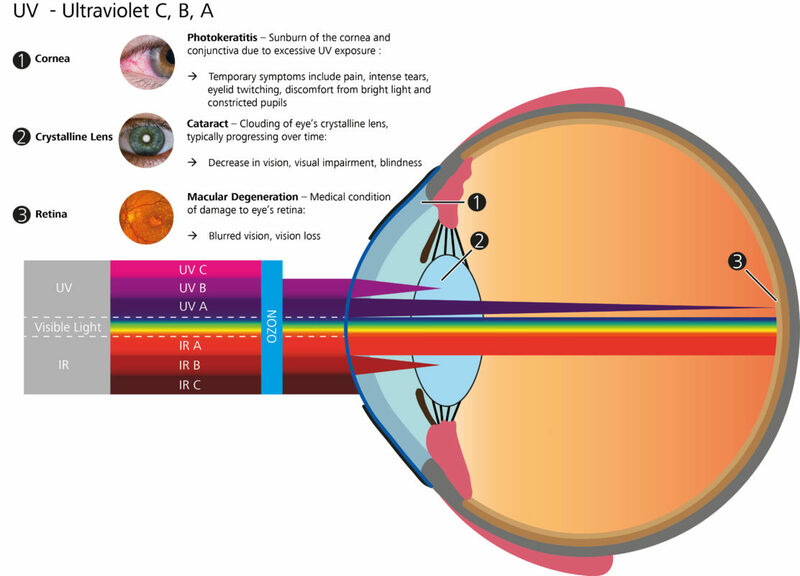 This means that, even if you are wearing lenses with UV protection, they fall short of fully protecting a person’s eye from high-energy UV radiation, which is still extremely potent at wavelengths up to 400 nm in the spectral range and poses a risk to eye health. That is why 100% UV protection is so important. Now that you are more aware of this invisible danger which is present everywhere, protect yourself against it – use sunscreen for your skin and glasses/sunglasses with full UV protection.